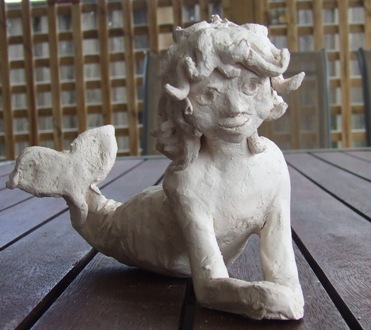 Merchild: bisque-fired and ready to glaze. 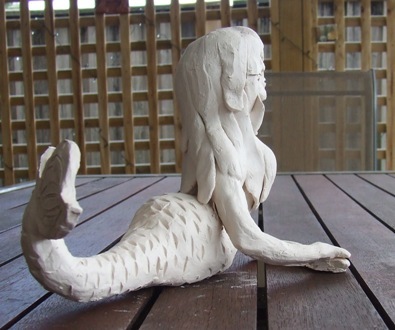 Reclining mermaid, rear view: bisque-fired and ready to glaze. 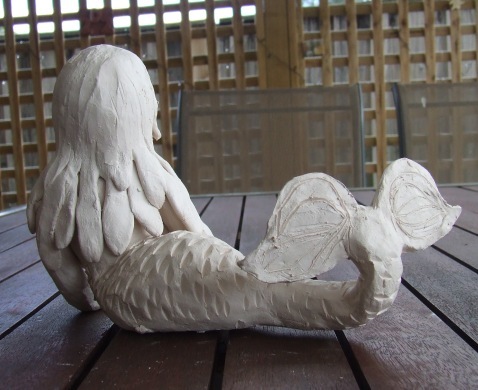 Reclining mermaid from side: bisque-fired and ready to glaze.